New Construction - Alca Construction Co. Inc.
Alca Construction Co. Inc. has extensive track record in community-based and government-assisted housing. Alca has worked with numerous developers, non-profit groups, housing authorities and state and federal agencies in the development and construction of housing. We have completed several projects financed with low income housing tax credits and historic tax credits. We have completed more than fifty projects financed by HUD, DECD and or CHFA. Our extensive experience in housing has allowed us to build strong relationships with subcontractors and suppliers. These relationships have given us the ability to negotiate competitive pricing which translates into cost savings to the owner and also allows us to control our schedules so that our projects are completed on a timely basis and within budget. This project consisted of a 34-unit, 2-story building and eight 1-story buildings containing 26 units. Project consists of a 34 unit 2 story building, 13 buildings containing 52 units and a community center. We demolished 56 existing units. The project included constructing a 2,100-foot road. 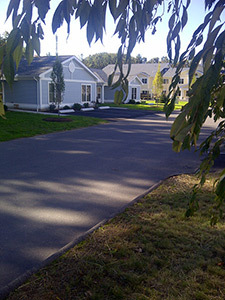 SummerWood is a 110,000 square foot assisted-living facility. It includes a kosher kitchen and dining area as well as a café, beauty salon and media room. New construction of 32 units of elderly housing. New construction of multifamily residential housing consisting of 24 units. All brick structure with precast concrete details to match existing historic structures that were on the site prior to being demolished. Award from: The Hartford Preservation Alliance. Alca Construction has completed many commercial building projects that include retail, office and medical buildings. We constructed offices , labs and a clean room for Allerquest LLC. This company manufactures and distributes pharmaceutical products. New construction of an 8,000 square foot retail building. This is a stand-alone building with multiple commercial tenants including Subway.